This event will bring together the North American artificial lift community and will focus on documenting excellent learning, case studies, and best practices in artificial lift applications, primarily for Unconventional Shale developments. 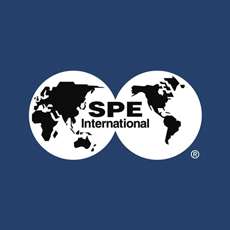 The goal of this conference is to capture new information, or previously presented but not formerly published material and to bring together the best of the best from events held in North America to establish a record of artificial lift applications relevant for Unconventional Shale developments and to make it available globally to industry professionals through OnePetro, SPE’s online library of technical documents serving the E&P industry. To allow for detailed technical discussions and presentations. there will be sessions dedicated to sucker rod pump, electric submersible pump, gas lift, and gas well deliquification technology. There will also be sessions bringing attendees together to examine common topics such as artificial lift selection, optimization, and failure tracking and analysis. Plenary sessions will feature panel speakers on a variety of topics such as the impacts of unconventional shale drilling and completions practices on artificial lift and what long term issues exist that we have yet to face regarding artificial lift for these unique reservoir developments. Share your expertise in deepwater drilling and completions by submitting your paper proposal by 1st February.